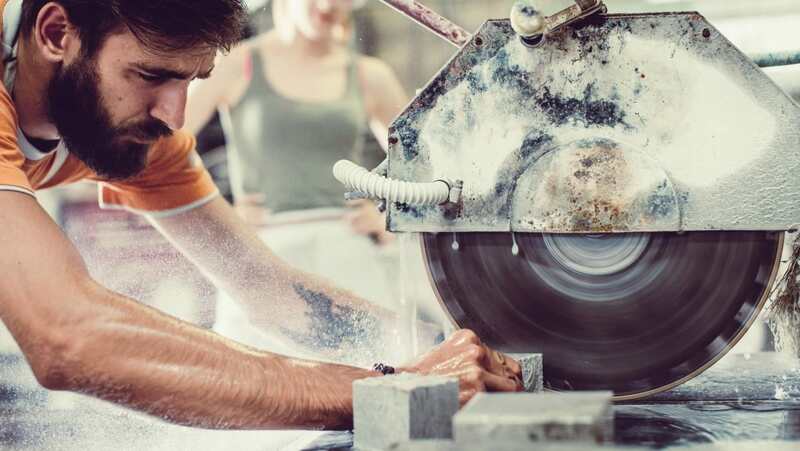 Organisations have revealed important steps they have taken toward raising awareness of the threat of respirable crystalline silica (RCS) in workplaces, six months on from signing a commitment to tackle the issue. New guidance has been published, studies have been undertaken and presentations have been given to employers and employees around the world. It comes after a 12-month plan of action was agreed in November 2016 to tackle the threat of RCS. Partners pledged to raise awareness of, and take preventative action against, work-related exposures to RCS, which is responsible for 800 lung cancer deaths a year in Britain alone. Simple controls can prevent deadly exposure to RCS, which is commonplace in industries that work with rocks, sand and clay, and products such as bricks and concrete. The commitment was part of the Institution of Occupational Safety and Health’s (IOSH) No Time to Lose campaign to tackle work-related cancer. Partners are due to meet again in November this year to review what has been done. Ahead of that, some of them, including IOSH, have provided updates. Part of IOSH’s commitment was to increase awareness and understanding of the potential health risks of RCS by promoting its campaign and associated materials. It has worked with the British Occupational Hygiene Society (BOHS) and UK Health and Safety Executive to deliver a presentation on how to tackle exposure to RCS, which has been showcased at 18 events so far. The campaign has also been showcased at 11 events outside of the UK. "It is unacceptable that people are being exposed to the harmful effects of silica dust in workplaces"
Meanwhile, the Institution is well on the way to having 25,000 downloads of its silica pack by October 2017, with over 20,000 recorded currently. Shelley Frost, Executive Director of Policy at IOSH, said: “It is encouraging that organisations which agreed the commitment are making progress. Other organisations which signed the commitment have also made progress. Thames Tideway, the organisation constructing a major new sewer under the River Thames, said it would continue to collaborate with the Health in Construction Leadership Group and promote No Time to Lose and the BOHS’s Breathe Freely campaign throughout its supply chain. Steve Hails, Director of Health, Safety and Wellbeing, said: “At Tideway we continue to look to transform occupational health and wellbeing on our project and set a new benchmark for the industry. “We have been engaged in a number of activities including occupational hygienists writing an essential standard for silica and an audit programme, occupational hygienists holding designers workshops to design out risks, and writing a design guide which will be published later this year. "ICOH’s Board discussed the achievements and plans of the ICOH 'Elimination of Work-related Cancer Programme"
The International Commission on Occupational Health (ICOH) agreed to work collaboratively with other organisations to tackle the issue of RCS. It also launched a study into the effects of exposure from RCS, which included over 1,400 chest x-rays and records of work history being taken to build an evidence base for a proactive risk-based approach. The Office of Road and Rail (ORR) has ensured its inspectors are alert to the risks from RCS and control standards required when carrying out work and is also preparing internal guidance for the industry. For more information about IOSH’s No Time to Lose campaign, and to access free resources, visit www.notimetolose.org.uk or follow @_NTTL on Twitter.